Markus Waibel is an Austrian/Swiss entrepreneur and researcher. He is a co-founder, director, and COO of Verity Studios AG, a Swiss high-tech company creating dynamic machines and related systems for the live event and other industries. He is also the president of the Drone Industry Association Switzerland (DIAS), and he is the co-founder of two award-winning robotics podcast series, conducting and publishing more than 250 in-depth interviews with leading roboticists since 2006. He co-founded the ROBOTS Association and its flagship publication Robohub, an online platform that brings together leading communicators in robotics research, education, start-ups, and business from around the world. He received his PhD in Robotics from the Swiss Federal Institute of Technology in Lausanne, Switzerland in 2007 and an MSc in Technical Physics from the Technical University of Vienna, Austria in 2003. As part of his academic career, he has authored 15 peer-reviewed publications in robotics in the field's leading conferences and journals, and has reviewed more than 100 publications in robotics and artificial intelligence. He has acted as an adviser for 2 PhD students and 25 students pursuing Bachelor and Master theses in robotics. As an inventor, he is the holder of a U.S. patent for a robotic locomotion method and a mobile robot, and more than ten other technologies. He has won numerous start-up awards. In 2006, he co-founded the IT project routeRANK, resulting in the world's first multi-modal travel-planning tool and a successful company, which he jointly ran with the company's founder until returning to robotics in 2008. From 2007 to 2011 he acted as the Academic Contributor to IEEE Spectrum's robotics blog Automaton. 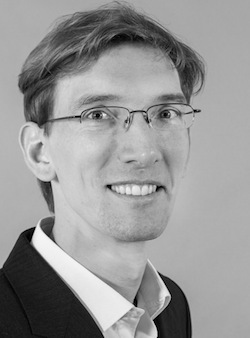 From 2010 to 2014, he was the Deputy Director of ETH Zurich's Institute for Dynamic Systems and Control, and the Program Manager of the pioneering Cloud Robotics project RoboEarth.